I used Random.org to find our winner out of 23 entries (20 on Mr. Linky and 3 email) who is non other than #9 Deanna - Up the Creative Creek. 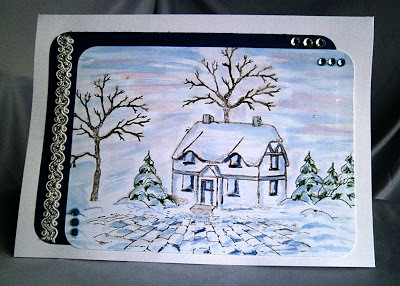 Reach out to me Deanna and I will tell you how to obtain your free Delicious Doodles images (email address is in the upper right corner of this blog). 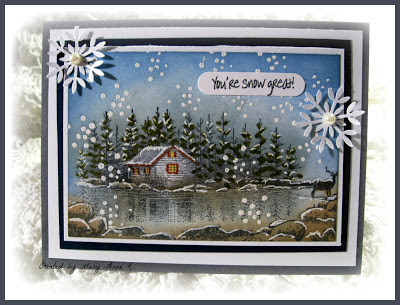 We had 23 fabulous Snowy Cottage Scene entries this month! They were all wonderful! Our challenge for February is to let your light shine. 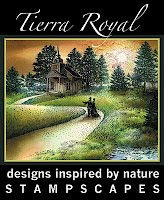 The projects must have a lighthouse as the main image. Let's see what you can come up with! You can see the linky post here. Really pleased to have made the top three again, being picked out of so many lovely cards does give one a nice feeling. Will have to give February's challenge a lot of thought. What an honor to be chosen for your top 3! You have so many talented people that enter each month. Thanks again.